Add recipients to your Activity Stream post in order to share created file with other users (remember you can add external users to the post as well). 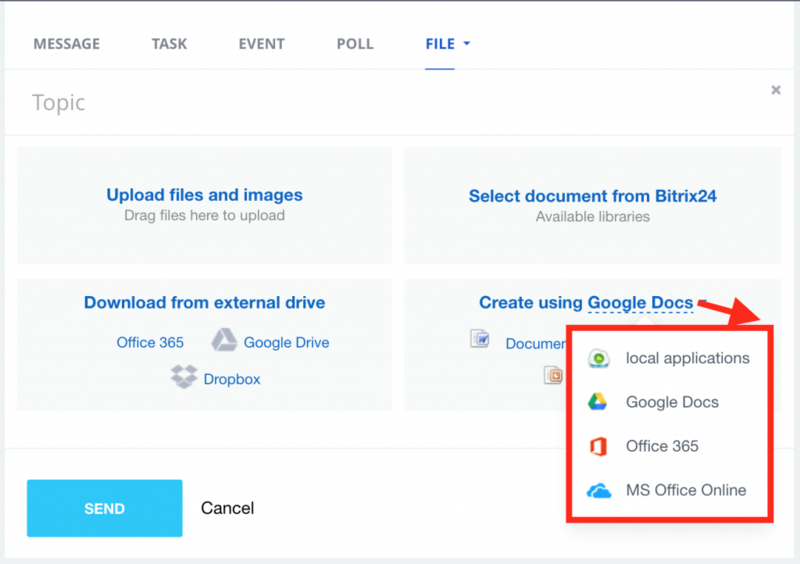 You can always find the files created in Activity Stream under Bitrix24.Drive > My Drive > Created files. Use sharing option in the folder options menu to share this folder with your colleagues.